A graduate of the United States Naval Academy and the Emory University School of Law, David “Dave” Pflieger has held executive positions with airlines such as Virgin America, Delta Air Lines, Fiji Airways, and Silver Airways. Since 2017, David Pflieger has led Ravn Air Group, one of the leading regional air transportation companies in Alaska. Recently, the owner of Ravn Air Group, J.F. Lehman & Company, received approval to purchase the assets of PenAir, an Alaskan airline. In October 2018, the sale was approved by the court that is handling PenAir’s bankruptcy proceedings. PenAir filed for bankruptcy protection in the previous year. At a bankruptcy auction, J.F. 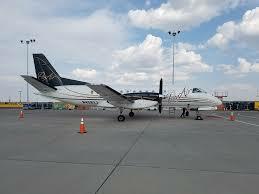 Lehman & Company made the winning bid to purchase PenAir’s assets for $12.3 million. PenAir will become a subsidiary of Ravn Air Group, where it will continue to operate as a separate company with a separate operating certificate. In order for the deal to become final, the Federal Aviation Administration and the U.S. Department of Transportation must approve the purchase. The transaction is great news for PenAir, local communities, and residents of Alaska, as it will save thousands of direct and indirect jobs, ensure vital service to communities served by each carrier, and it will allow seamless travel and expanded service throughout the State. Ravn Air employs approximately 1,000 workers, operates 400 flights per day, and has partnerships with major international airlines such as Alaska Airlines, American Airlines and United Airlines. PenAir, which was founded by Orin Seybert in Bristol Bay in 1955, has established itself as one of the leading air transportation companies in Alaska over the past six decades. In addition to serving six cities across the southwest part of the state and down the Aleutian Islands, the company is known for its safety record, its strong relationship with the Seafood industry, and as the first regional airline in Alaska to receive certification from the FAA for its Safety Management System (SMS). For more information on this story, read here.